Palavras-chave: Zabrotes subfasciatus. Phaseolus vulgaris. Armazenamento. Resistência de plantas. O feijão comum (Phaseolus vulgaris L.) é uma das fontes proteicas mais importantes em todo o mundo. Todavia, o ataque de bruquídeos inviabiliza o armazenamento do produto após a colheita. O objetivo deste trabalho foi determinar a taxa de emergência de Zabrotes subfasciatus (Coleoptera: Chrysomelidae) em quatro variedades de feijão P. vulgaris (Carioca Pitoco, Enxofre, Gorgutuba Vermelho e Rosinha) cultivadas na Amazônia sul-ocidental (Acre, Brasil). Os grãos de cada variedade foram infestados com 50 adultos não-sexados e após 13 dias do início dos bioensaios, os insetos foram removidos. A progênie adulta obtida nas variedades foi contabilizada e removida em dias alternados, a partir da primeira emergência, até o final do período de emergência (n° de insetos/frasco). A soma da emergência de insetos foi acumulada a partir da emergência inicial e resultou na soma da emergência acumulada (SEa, % dia), calculada por SEa = ∑SEd. Foram constadas diferenças nas taxas de emergência de Z. subfasciatus entre as variedades de feijão, sendo que a variedade Gorgutuba Vermelho apresentou menor taxa de emergência. Embora esta variedade de feijão tenha apresentado menor emergência de adultos, o tempo de desenvolvimento dos insetos não se estendeu nesta variedade, em comparação com as outras variedades. Em geral, a variedade Gorgutuba Vermelho apresentou indícios de fontes resistência a Z. subfasciatus. APPLEBY, J. H.; CREDLAND, P. F. Environmental conditions affect the response of West African Callosobruchus maculatus (Coleoptera: Bruchidae) populations to and resistant cowpeas. Journal of Stored Products Research, Amsterdam, v. 40, n. 3, p. 269-287, 2004. ASFAW, A.; BLAIR, M. W.; ALMEKINDERS, C. Genetic diversity and population structure of common bean (Phaseolus vulgaris L.) landraces from the East African highlands. Theoretical and Applied Genetics, Stuttgart, v. 120, n. 1, p. 1-12, 2009. BALDIN, E. L. L.; PEREIRA, J. M. Resistencia de genótipos de feijoeiro a Zabrotes subfasciatus (Boheman, 1833) (Coleoptera: Bruchidae). Ciência e Agrotecnologia, Lavras, v. 34, n. 6, p. 1507-1513, 2010. BOIÇA JÚNIOR, A. L. et al. A defesa das plantas ao ataque dos insetos. In: BUSOLI, A. C. et al. (Eds.). Tópicos em entomologia agrícola - VIII. Jaboticabal: Multipress, 2015. v. 1, cap. 15, p. 207-224. BONFIM, K. A. C. et al. RNAi-mediated resistance to Bean golden mosaic virus in genetically engineered common bean (Phaseolus vulgaris). Molecular Plant-Microbe Interactions, St. Paul, v. 20, n. 6, p. 717-726, 2007. CARDONA, C. et al. Comparative value of 4 arcelin variants in the development of dry bean lines resistant to the Mexican Bean Weevil. Entomologia Experimentalis et Applicata, Dordrecht, v. 56, n. 2, p. 197-206, 1990. CORRÊA, A. S. et al. Insecticide resistance, mixture potentiation and fitness in populations of the maize weevil (Sitophilus zeamais). Crop Protection, Oxford, v. 30, n. 12, p. 1655-1666, 2011. COSTA, E. N. et al. Divergência genética de genótipos de feijoeiro a infestação de Zabrotes subfasciatus (Bohemann) (Coleoptera: Bruchidae). Semina, Londrina, v. 34, n. 6 p. 2737-2752, 2013. COSTA, J. T. et al. Effects of different formulations of neem oil-based products on control Zabrotes subfasciatus (Boheman, 1833) (Coleoptera: Bruchidae) on beans. Journal of Stored Products Research, Amsterdam, v. 56, n. 1, p. 49-53, 2014. CRUZ, L. P. et al. Evaluation of resistance in different cowpea cultivars to Callosobruchus maculatus infestation. Journal of Pest Science, Berlin, v. 89, n. 1, p. 117-128, 2016. EDUARDO, W. I. et al. Antibiosis levels of common bean genotypes toward Zabrotes subfasciatus (Boheman) (Coleoptera: Bruchidae) and its correlation with flavonoids. Journal of Stored Products Research, Amsterdam, v. 67, n. 3, p. 63-70, 2016. FARONI, L. R. D. A.; SOUSA, A. H. Aspectos biológicos e taxonômicos dos principais insetos-praga de produtos armazenados. In: ALMEIDA, F. A. C.; DUARTE, M. E. M.; MATA, E. R. M. C. (Eds.). Tecnologia de armazenagem em sementes. Campina Grande: UFCG, 2006. v. 1, cap. 7, p. 371-402. FREITAS, R. S.; FARONI, L. R. A.; SOUSA, A. H. Hermetic storage for control of common bean weevil, Acanthoscelides obtectus (Say). Journal of Stored Products Research, Amsterdam, v. 66, n. 2, p. 1-5, 2016. GUEDES, R. N. C.; GUEDES, N. M. P.; SMITH, R. H. Larval competition within seeds: from the behavior process to the ecological outcome in the seed beetle Callosobruchus maculatus. Austral Ecology, Carlton, v. 32, n. 6, p. 697-707, 2007. JAIROCE, C. F. et al. Insecticide activity of clove essential oil on bean weevil and maize weevil. Revista Brasileira de Engenharia Agrícola e Ambiental, Campina Grande, v. 20, n. 1, p. 72-77, 2016. JANARTHANAN, S. et al. Arcelin from Indian wild pulse, L. purpureus and insecticidal activity in storage pests. Journal of Agricultural and Food Chemistry, Washington, v. 56, n. 5, p. 1676-1682, 2008. JONES, M.; ALEXANDER, C.; LOWENBERG-DEBOER, J. Profitability of hermetic purdue improved crop storage (pics) bags for African common bean producers. Disponível em: <http://ageconsearch.umn.edu/bitstream/117708/2/11-6.pdf>. Acesso em: 08 jan. 2017. KUSOLWA, P. M.; MYERS, J. R. Seed storage proteins Arl2 and its variants from the apa locus of wild tepary bean G40199 confers resistance to Acanthoscellides obtectus when expressed in common beans. African Crop Science Journal, Kampala, v. 19, n. 4, p. 255-265, 2011. LOPES, L. M. et al. Population development of Zabrotes subfasciatus (Coleoptera: Chrysomelidae) in landrace bean varieties occurring in southwestern Amazonia. Journal of Economic Entomology, Oxford, v. 109, n. 1, p. 467-471, 2016. MUTANGI, C. et al. Trip-layer plastic bags protect dry common beans (Phaseolus vulgaris) against damage by Acanthoscelides obtectus (Coleoptera: Chrysomelidae) during storage. Journal of Economic Entomology, Oxford, v. 108, n. 5, p. 2479-2488, 2015. OLIVEIRA, M. R. C. et al. Mesoamerican origin and pre- and post-columbian expansions of the ranges of Acanthoscelides obtectus say, a cosmopolitan insect pest of the common bean. Plos One, California, v. 8, n. 7, p. 1-12, 2013. SOUSA, A. H.; FARONI, L. R. D.; FREITAS, R. S. Relative toxicity of mustard essential oil to insect-pests of stored products. 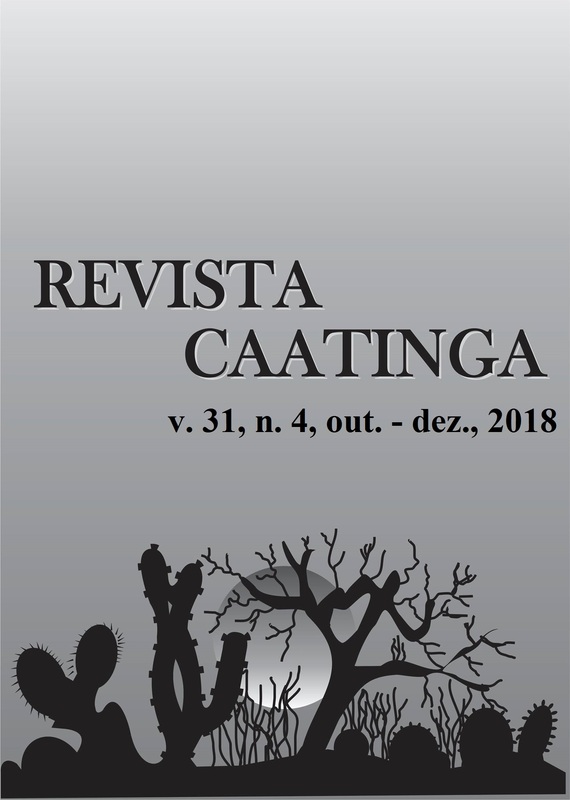 Revista Caatinga, Mossoró, v. 27, n. 2, p. 222-226, 2014. SOUSA, A. H. et al. Developmental and population growth rates of phosphine-resistant and - susceptible populations of stored product insect-pests. Journal of Stored Products Research, Amsterdam, v. 45, n. 4, p. 241-246, 2009. TIGIST, S. G. et al. Evaluation of different Ethiopian common bean, Phaseolus vulgaris (Fabaceae) genotypes for host resistance to the Mexican bean weevil, Zabrotes subfasciatus (Coleoptera: Bruchidae). International Journal of Tropical Insect Science, New York, v. 38, n. 1, p. 1-15, 2018. TREMATERRA, P.; FONTONA, F.; MANCINI, M. Analysis of development rates of Sitophilus oryzae (L.) in five cereals of the genus Triticum. Journal of Stored Products Research, Amsterdan, v. 32, n. 4, p. 315-322, 1996. VELTEN, G. et al. The inhibitory effect of the natural seed storage protein arcelin on the development of Acanthoscelides obtectus. Journal of Stored Products Research, Amsterdam, v. 43, n. 3, p. 550-557, 2007.